This is old version Need for Speed No Limits 1.3.8 apk for Android, you can install it if you want to downgrade or install old app. 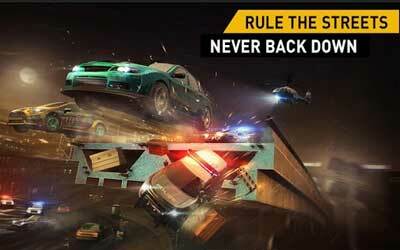 It is top Racing apps from ELECTRONIC ARTS. Almost all the type and version of the car are available to be customized. There are 2.5 million combos that you can have. All the machine improvements and additional features will also let you drive the car faster and also fearless. This is the key to reach a very impressive experience of race gaming. Although the basic purpose of playing the game is just to play and wind, you can still challenge yourself with various mode and game role play. You can choose drift mode, drag mode or the other conventional mode of racing game. There are also so many missions that will improve your skill time to time. With the presence of spacious visual attraction and 3D design, the experience of mobile gaming through Need for Speed No Limits for android will be reached properly. With the use of this game, you will no more need to turn on the console or PC for professional gaming look.